Looks like there’s a new site in town to get a heads up on where to find good food, beauty services and fashion! We tested it out to take a look at the features you can expect when signing up as a member at this new portal called EHBUZZ. ehbuzz.com covers 3 categories, allowing members to sort outlet listings by popularity, proximity and price. There are already over 700 food outlets listed showing just how popular Singapore’s favourite pastime is. Each listing allows you to view basic outlet information like their address and tagged categories plus useful content like reviews and photos from community members! 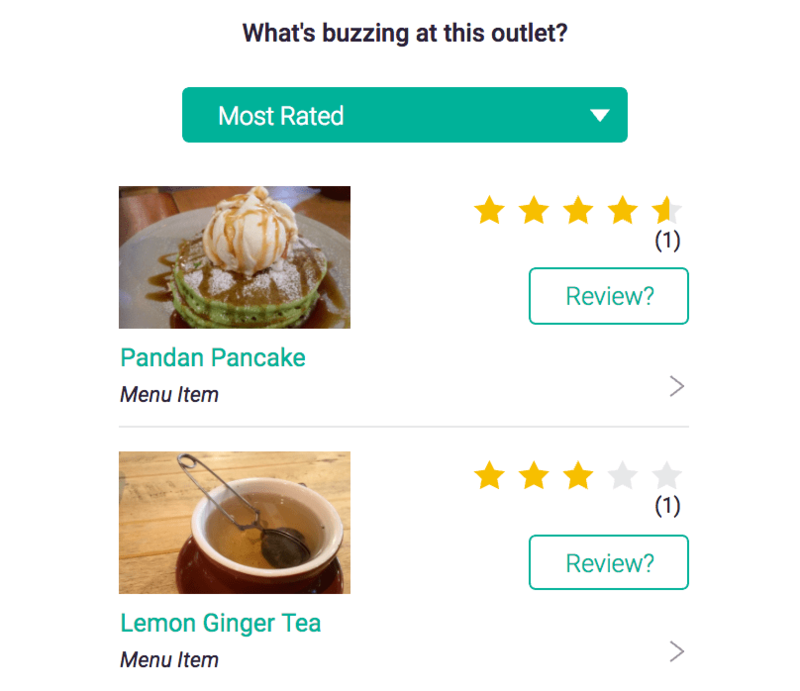 Easily check out what’s “buzzing” at the outlet based on user recommendations. Or submit your own favourites to share with the community what you love about certain restaurants. And nothing beats getting a glimpse at what the outlet and it’s servings look like. A lot of us like to scour Google and Instagram for images of menu items before we decide what we want to order. Ehbuzz provides everything on one page for each restaurant listing so you can check out photos and outlet details in one convenient place. If you’re keen on sharing, you can upload your own photos to ehbuzz as well. Sign up to be a ehbuzz “hunter” and when you sign in, you’ll see your profile badge at the bottom of the screen. Click on your name to view and personalise your profile. Ehbuzz has built in “missions” which allow you to collect badges as rewards and gives you a chance to challenge your friends. See who can get the most rewards by completing the simple missions. Missions include gaining followers, introducing outlets, leaving reviews and getting likes for photos you’ve uploaded. Level up as you work you way to more rewards and stay on top of the game. Check out the “Hunters” page to see the top contributors on ehbuzz and you could be featured too! Ehbuzz is easy to navigate and even easier to contribute to, so if you’re looking a community you can be part of or if you simply want to know the best food, beauty and fashion outlets to go to, check out the new ehbuzz.com.